Technology has changed how we as a profession do business. In all ways. Advances in medicine, science and technology, and of course the way we understand and combine these great leaps forward has helped us to deliver a much higher standard of patient care. The worlds of human and animal medicine have edged closer, with the sharing of ideas, experience and evidence by pioneers in both professions, offering us solutions which even two years ago didn’t exist. Technology has been a vital component in expanding the range of treatment options available but are we fully embracing technology in every aspect of practice life? 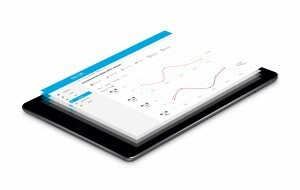 Technology isn’t just about the service we deliver, it’s now about the way we deliver it. The way you use technology ‘behind the scenes’ can define your practice as being a practice of the future or a practice that’s paddling furiously underwater! As an industry, we know that we have a few hang-ups when it comes to using technology for our own practice systems and processes. We’re vets and nurses, delivering care on the front line, not data input technicians, marketers, data analysts or customer service agents. Since when did our jobs become ‘all about the data and technology’? 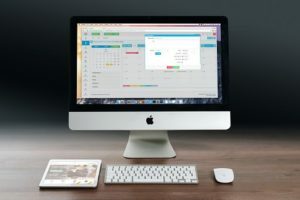 Well, about five years ago, and in that five years things have progressed pretty fast on the business technology front and we as a profession are perhaps falling behind in the way we’ve embraced that. Keeping pace with technology is challenging for the veterinary profession. New telephone systems, cloud computing, smartphones and tablet technology, SEO, digital strategies, content marketing, smarter IT systems, HR and payroll integration. It’s pretty far away from scans and scalpels. It’s not high up on our priorities because our day job is to care for animals, which is challenging enough. We work long hours, we’re required to complete our CPD and be up on all the latest advances which enable us to deliver a better level of care for our patients, we have lives, families and all the stuff that comes with that. Where on earth do we find the time to put our ‘virtual’ hats on and enter what feels like a fairly daunting world of digital advancement. Well it depends how you look at things and if you separate technology into two areas; patient care and running a business or if you look at things holistically and go with the ‘delivering the best patient and client care’ approach. Which incidentally, would be the approach to go for because there should be no separation in your embracing of technology. You can’t ‘half go for it’. 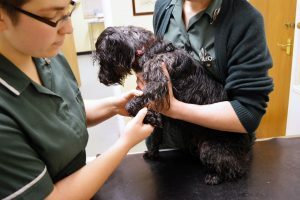 It’s a way of life, a way of doing business, treating patients, managing teams, delivering client care, being a veterinary practice that stands out from the competition. It’s all or nothing, so with that in mind, what do we need to do to do all of that and become a veterinary practice of the future, delivering care that goes above and beyond the competition. It’s easier to avoid change and the adoption of new systems and processes than to hit your resources with training, the pain of finding your way around new technology, dealing with confused heads and the ‘it takes far too much time and everything’s fine the way it is’, hands up in the air, rolling eyes syndrome. Of course it is. But is it worth paying the high price for sitting on outdated, inefficient technology which in fact uses more time and energy and misses the mark when it comes to delivering the best possible service patients and client? Is the future of your practice going to be driven by a ‘head in the sand’ approach to social media, client communication and delivery of patient care? Once your mind has started to wander down ‘digital alley’, you’ll no doubt be overwhelmed with the notion that ‘everything needs to change and it’s just completely impossible (so let’s not bother going there at all…)’. You don’t need to jump head first into the digital world and do a quick smash and grab. All you really need to do as a starting point is undertake an audit of all your systems and processes and allow yourself time to do this. Involve all of your team from the word go and take them on the new journey with you, otherwise they’ll feel the introduction of new technology and systems is something being ‘done’ to them, rather than something they were always part of. Buy in from staff comes from involvement in shaping your digital journey from day one. Give yourself a two-month period to uncover all the quirks in your business operating procedures; the things that stop you from delivering that rounded, seamless, efficient and ‘better than the competition’ level of client and patient care. That ‘Gold Star’ care that we so often read about. Hold fortnightly team meetings where information and thoughts are brought to the table and discussed. Encourage and listen to the sharing of ideas to find solutions. Use your two-month audit period to get ‘everything out’! Everything from your internal comms processes; the way you communicate with your teams, the way they communicate with each other and of course the way they communicate back to you – multi-way communication is essential for a forward thinking, fully functioning practice otherwise information gets stuck, lost, or just doesn’t happen at all. Take a two month ‘discovery trip’ of your own practice. Once you’ve ‘got it all out’, define and prioritise the digital workstreams and projects that will make a difference to your practice, internally and externally. Make your priority list a mix of short term wins to balance out the longer term pain and gain, otherwise it’ll all just feel too onerous and challenging, like there is no light at the end of the tunnel. Keep showing your teams the light and they’ll keep shining. Combine the low cost/no cost options with the financially weightier ones to keep your projects moving, spreading the budget over time to ensure continual progress, improvements and breakthroughs. You will not need to be reminded about the fact that not everybody LOVES technology. As much as we use this (almost addictively) in our personal lives to communicate, share information, ‘like’, ‘dislike’, order, return, book, cancel and quite often share our views and lives with complete strangers, when it comes to using new technology in our professional lives, our fear factor rockets. We don’t want to expose our lack of knowledge, we’re inherently scared of change, we worry that we won’t ‘get it’ and we’re fearful of making great big clangers when it comes to using new things. We’re also very, very conscious of giving up time to learn about/partake in things we see as non-essential as our time is so limited. Like all workplaces, your practice will be multi-generational. You’ll have your Generation Y’s who have grown up with a smartphone glued to their hand and you’ll have your baby boomers who would rather pick up a phone and write things down and who would most definitely prefer to run away from anything that ‘tweets’, unless it’s a small winged patient with a beak. Some simple questions to your team will help uncover who knows what, who’s ok with what and who would definitely rather disappear as soon as you mention the word ‘technology’. You wouldn’t treat all of your patients the same way, remember your staff are also different breeds of creatures with different, specific needs. 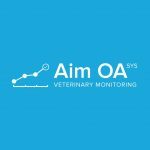 AIM OA Sys is a digital cloud based disease management support system for improving management of OA in dogs. 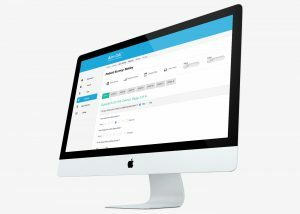 To learn more or arrange a demo for your practice, please give us a call on 01270 586008 or email us [email protected]. Aim.OA is a new, state of the art electronic decision making tool for managing arthritis. The system has been designed to provide practices with one common system for OA management, increasing efficiency and improving extended care for OA patients.